The FIM Endurance World Championship will see a major shake-up from the end of 2016, as the season makes the switch from a traditional summer season to become a winter series instead. Traditionally starting with April’s Le Mans 24 Hour race and finishing with September’s Bol d’Or, 2016 will see the 2017 championship kick off immediately after the end of the 2016 year, finally culminating in July’s Suzuka 8 Hour. Planning an expansion away from Europe and presumably into Far Eastern countries like Indonesia and Malaysia, series organisers Eurosport Events have pledged increased support for the teams and manufacturers as they move forwards, according to Director of Operations François Ribeiro. "Eurosport Events became the promoter of the FIM EWC just five weeks before the 2015 season started, which meant that we had to select our priorities. Endurance racing was lacking consistent media coverage, so we gave the championship nearly 60 hours of airtime on Eurosport, which went out to 40 million viewers in 2015. “During our first season, we also devoted plenty of time to discussing different ways of evolving endurance racing with the FIM, event organisers, teams, manufacturers, tyre companies, and partners. 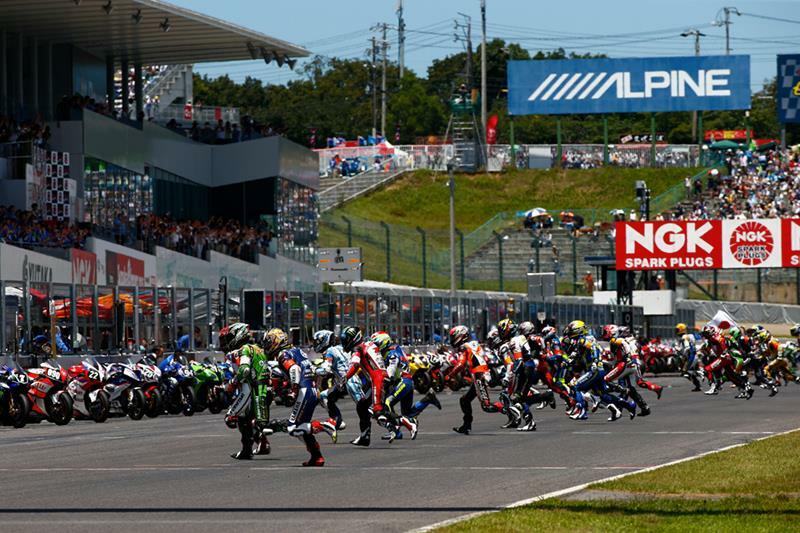 “Following our first experience of the Suzuka 8 Hours, it became clear that the final round of the championship should take place on Japanese soil at this legendary event. Reforming a championship is a tough task. It requires a quality of dialogue with all endurance racing stakeholders and we will concentrate our efforts on raising the profile of the FIM EWC, making it bigger, better and more visible all over the world. “Endurance racing has a number of key assets: it provides a perfect shop window to demonstrate the reliability of the bikes, a platform for manufacturers to showcase their most emblematic models, a fantastic spectacle for the fans, and a TV product that is rich in stories about the men and machines."